The UK coalition government has been trying to suppress depictions of The Profit – especially when it comes to their privatisation of the NHS. 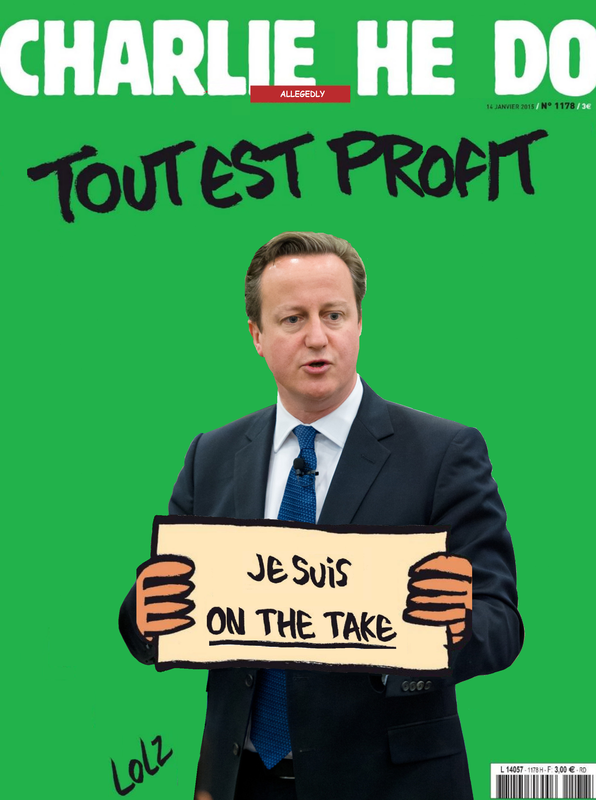 The UK version of Charlie Hebdo? Strange you list contains no Labour Lords ? Reblogged this on Blinded by the Darkness. Tom Pride lists again the Tory and Lib Dem MPs helping themselves by privatising the NHS. This was always the aim of the Self-Servatives, ever since Peter Lilley formulated the Private Finance Initiative. He was annoyed because the existence of the NHS as a nationalised industry meant private industry couldn’t get a foot in, and so set about to create a way this could happen. And the result is the piecemeal privatisation of the NHS today. Part of your obligation, when you choose to serve your country, is that you should have NO outside financial interests – openly or hidden – which can in any way be affected by the policies you form or vote for. This is at the core of the mistrust of politics in the UK at present. Deciding to run for parliament should be like entering the priesthood, except it is your Country, the people, that you serve. If that discourages the likes of the current cabinet (and one or two of their Labour predecessors) from entering Government, the country would be a far better place. Of course if you are willing to do that, you will fully deserve the respect of the public – something that is sorely lacking at the moment. There is a great of either apathy or outright derision amongst the public at present. Included Labour and other lords Tom. You need to criticise people on your own side even more than the Tories. I thought Lamont created PFI, not Lilley. What do you expect from liars.